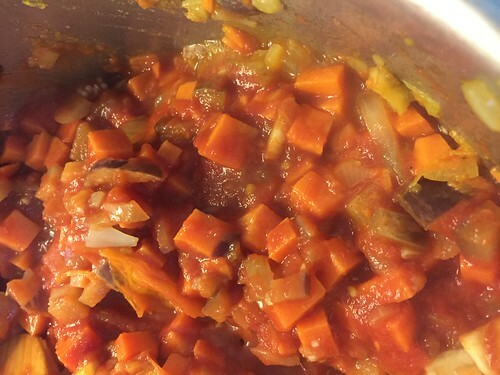 Sweet Potato and Aubergine Curry was the vegetarian dish du jour for our team dinner the other day. And although it sounds a bit daunting, it’s very simple and perfect for the athlete to fuel before a race. 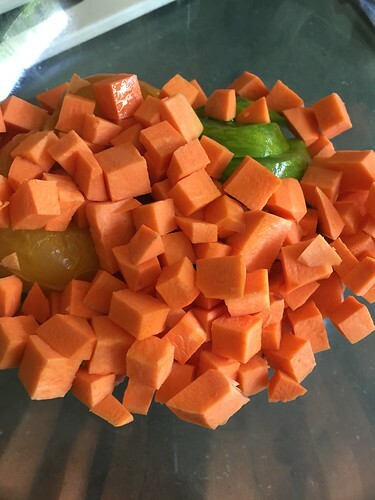 The benefits come from both the sweet potato and the anti inflammatory effects of the turmeric in the curry. 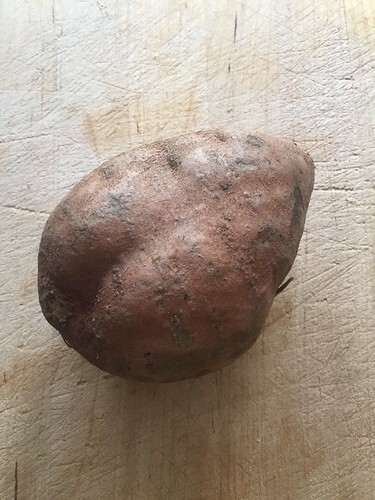 Sweet potato is nothing to do with the British Queen, and is only a very distant relative. The first Europeans to taste sweet potatoes were members of Christopher Columbus’s famous expedition in 1492. Later many explorers found many varieties under an assortment of local names, but the name which stayed was the indigenous name of batata. The Spanish combined this with the Quechua word for potato, papa, to create the word patata for the common potato. The first record of the name “sweet potato” is found in the Oxford English Dictionary in 1775. Disclaimer: Due to the starving hoards there is no nice plated picture at the end. You’ll just have to use your imagination! Fry off the onions, garlic and spices in some olive oil, until translucent with a curry twinge! Season well at this stage. 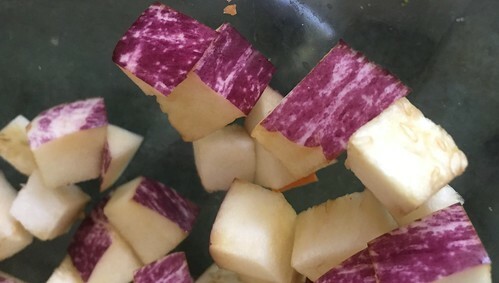 Finely chop the peeled sweet potato and the aubergine into cubes. 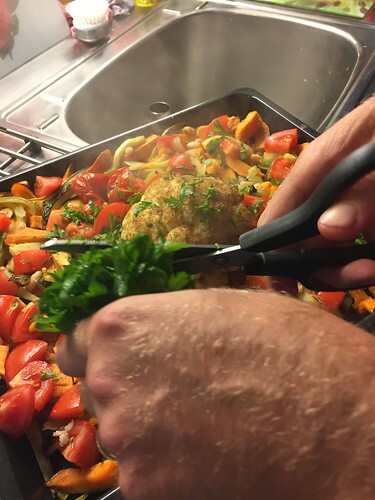 A commi chef comes in handy here when you are multiplying up the recipe, thanks Nigel! 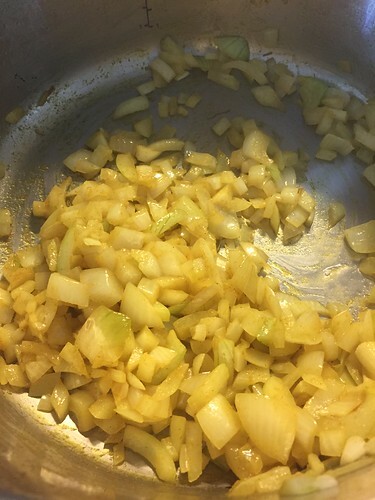 Fry all of these off with the onions, cover and leave with occasional stirring for about 15 minutes. Then simply add the tomatoes, coconut milk. Rinse the cans out with about 200ml of water and add this to the pan. Bring to a simmer and leave for 20 minutes. season again if necessary. 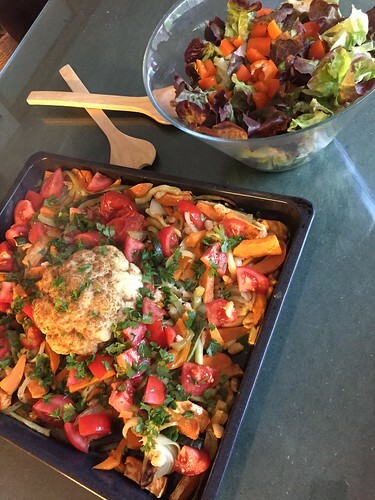 Meanwhile, cook your rice, and serve with a big green salad to bring the colour balance back!